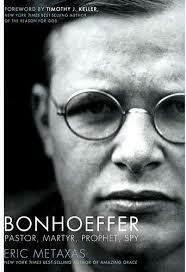 If you aren’t familiar with the story of Dietrich Bonhoeffer, you should change that. Bonhoeffer’s example of standing for Christ under the Nazi regime will inspire fresh courage in you (I’d recommend Eric Metaxas’ book: Bonhoeffer: Pastor, Martyr, Prophet, Spy). A lesser-known part of Bonhoeffer’s ministry centers on the two years he headed up an underground seminary in Finkenwalde (1935-1937). During these years he trained future pastors—preparing them for ministry in a turbulent, hostile society. This entry was posted in Ministry Matters and tagged Bonhoffer, Heritage College and Seminary, Preaching. Bookmark the permalink. Excellent article Rick. Would love to forward it to our pastors. I appreciate what I read! Thank you for sending this to us! There is real power in the preached Word! Some nice quotes, but would be nice if you spelled Bonhoeffer’s name as it’s commonly spelled. Bonhoeffer, not Bonhoffer. Thanks Craig for pointing that out. Correction made.